$275 Hong Kong: What's that in real money? The Hong Kong University School of English Creative Writing Studio and HKU Press announce the 2014 International Poetry Prize for an unpublished first collection written in English. 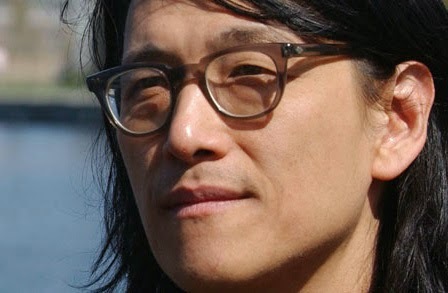 Li-young Lee will be the final judge and the prize will include HK$2500 and publication of the collection. The deadline for submissions is 31 December 2014 and the winner will be announced in January 2015. There is an administrative fee of HK$275 - but bear in mind that in inviting submissions from anywhere in the world, there will be a lot of administration and reading to do! We know that some prizes exist to generate income for the entity making the award, but that's not the case here. Open to residents of Australia. 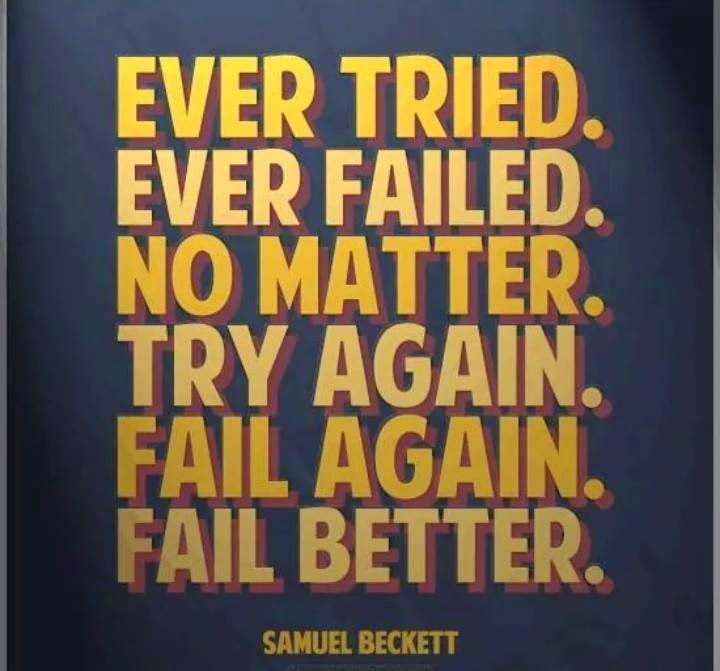 A poem or short story can have been submitted elsewhere, or be under consideration elsewhere but not previously published at the time of submission. Please join Regime Books to summon into reality this remarkable collection by WA poet Christopher Konrad. To be launched by Shane McCauley, with music by Ross Bolleter. A book of wilderness, poetry and redemption. 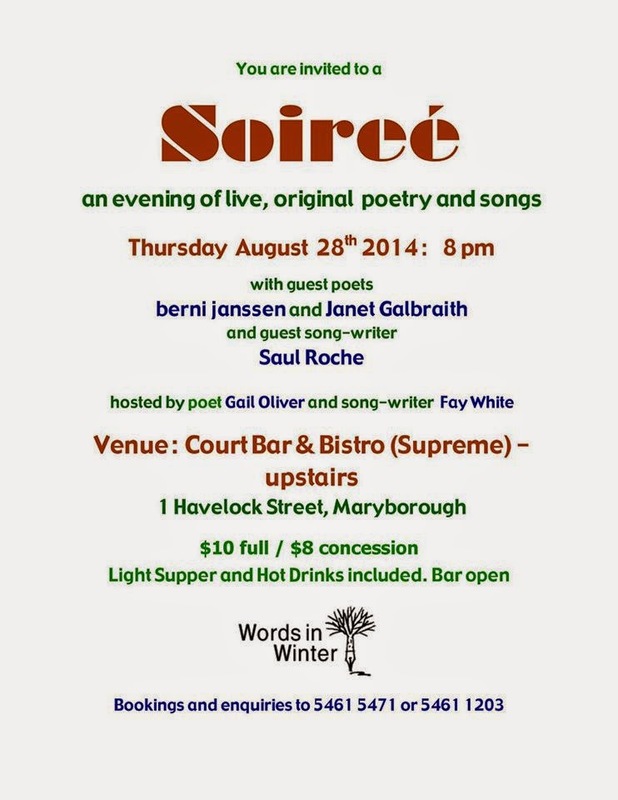 From 6.30pm, Monday Sept 15, at New Edition Bookshop, 41 High Street (cnr Henry Street), Fremantle. WA's south-west coast is the kind of place people escape to. Unless you have lived there all your life, in which case you long to get away. Join Fremantle Press to celebrate the launch of acclaimed children's author Deb Fitzpatrick's debut novel for adults. 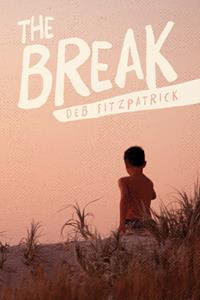 The Break will be launched Monday 1 September, 6pm for a 6.30pm start, at New Edition Bookshop, 41 High Street, Fremantle. RSVP via email. For an unpublished single poem or linked suite to 80 lines. First Prize: $2000 + publication in Island + annual subscriptions to a range of literary journals. Second Prize: publication + annual subscriptions. 2014 judges are Sarah Holland-Batt, Gig Ryan, and Sarah Day. Entries close September 30. Entry fees $20/$15 Islandsubscribers. For details click here. This five-week course will teach you everything you need to know about starting, writing and finishing a novel. Join novelist Natasha Lester as she shares her secrets to writing an award-winning novel. Designed for those who’ve always wanted to write a novel but don’t know where to begin, as well as those who’ve started only to give up because they’re not sure where they’re going. Five sessions, from 6:30-9:00pm, Thurs 30 Oct-Thurs 27 Nov, at UWA Claremont. Cost: $169. For details, clickhere. Among the richest poetry and short story prizes in the world, the Griffith University Josephine Ulrick prizes in 2015 are worth $30,000 in total prize money. The Literature Prize seeks short fiction to 2000 words, while the Poetry Prize calls for poems to 100 lines. Each offers a First Prize of $10,000, with $5000 for Second Prize. Entries open 1 Dec and close 13 Feb 2015. For details, click here. The Society of Women Writers WA is hosting another Marathon Writing Competition to help you ignite your creativity and prise raw ideas from the bedrock of your imagination. Mine a rich seam of plots, characters and narratives, to be cut and polished later into literary diamonds. Bring your favourite pens; notepaper supplied. There will be ten challenges of 25 min each, with the winner receiving a trophy and certificate. There are also prizes for second and third places. Cost is $20, inc. tea/coffee, and the Marathon is open to men and women. Sat 20 September, from 9.30am-4pm at the Citiplace Community Centre, Perth Railway Station Concourse. Book via email or ph. 0415 840 031. For information on the Society of Women Writers WA, visit their website. Writing for children and teenagers - it's easy, right? After all, if there's one thing we all were once, it's a kid. But just as eating ice-cream doesn't automatically make you a gelato expert, so too with children' s fiction. Many of us have great book ideas for children and teens, but simply aren’t sure where to start. That’s where the Australian Writers’ Centre can help. Whether it’s epic fantasy, comic adventure, romance or realism you want to write, this course covers all the essentials of writing fiction, with a specific focus on the most common questions about the dos and don’ts of writing for children and young adults. Weekend course at The Wembley Hotel, 18 & 19 October. Cost: $395. For details, click here. * Poetry on the theme of Memento Mori. Selected poems will receive $50 cash and will be displayed as part of the exhibition featuring the extraordinary video work Allegoria Sacra by the Russian collective AES+F, an evocation of Purgatory as an international airport. Submissions close 19 September. 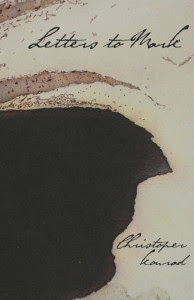 * Poetry and fiction for an issue with the theme of "Ground". Submissions close 10 October. Get creative. Get cracking. For details, click here. Robert Lloyd Live at Holy Trinity Arts Festival. Only four more days to go... this Friday we take over the Judith Wright Centre with a program full of poetry, spoken word, music, performance. We'll be filling the air with the breadth and depth of language in all of its forms. To get a taster of what is to come over the weekend visit the QPF website for a host of interviews, poetic snapshots, and other tidbits from the festival artists. And keep in touch with us via facebook and ontwitter #qpf14. And of course please join us this Friday 29th August from 6pm for a glass of wine as we officially open the festival and announce the winners of the 2014 Arts Queensland Poetry Awards. Then kick back and get lively with the spectacular Needlepoints of Light! 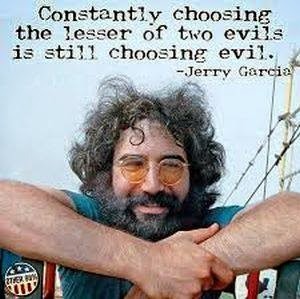 Exactly, Jerry Garcia, same here! When I was young, I wrote a book. I enjoyed the launch so much, I wrote another one. Then, another. The habit caught until I couldn't kick it. So when I wrote my twelth book, I took it around the country. 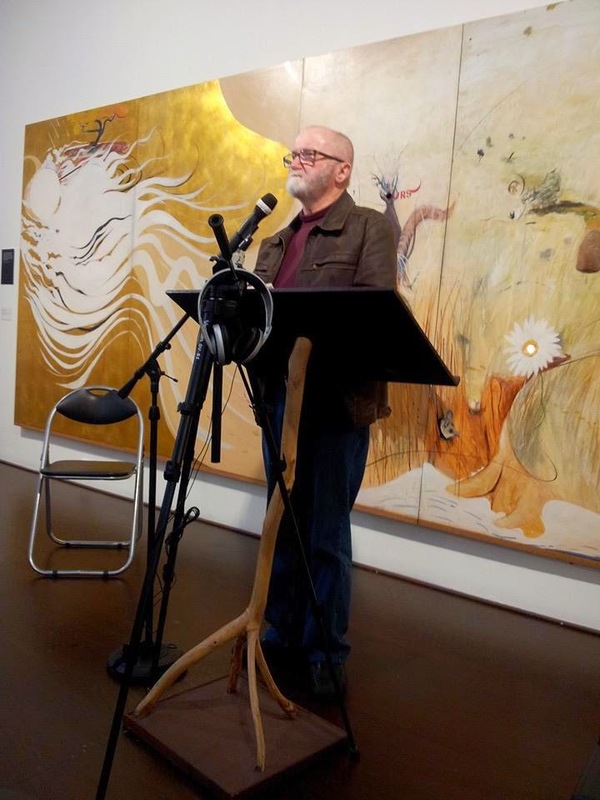 It also coincided with my 70th birthday, so I stood tall and proud, especially in front of works by one of my favourite Australian artists, Brett Whiteley at the gallery that holds his name in Sydney. Now I am back in the country town where we see out our days - Corowa, New South Wales. There are about six pubs here but no bookshop, so I know how difficult it is to go fishing for interesting books.My I boastfully claim mine to be very interesting - Take a look yourself at http://store.walleahpress.com.au It is a bargain at $20! We are here for the launch of Andrew Burke’s book of poetry One Hour Seeds Another. It might also be said that ‘one book seeds another’, for this is Andrew’s eighth [Ed: 12th] book of poetry and, as I aim to show in the course of my remarks, there are links between the various books which say something about the poet’s style and the nature of his preoccupations. I first met Andrew at a poetry reading in Tom Collins House given many years ago. A report of the occasion dated 2 December 1967 refers to the Fellowship of Writers holding its annual ‘wind-up’. It goes on to say that ‘among members who have had books published this year are Katherine Susannah Prichard, Henrietta Drake-Brockman, Griffith Watkin, John Barnes, Vincent Serventy, Gerry Glaskin and Lucy Walker.’ The poets represented at the reading included Ian Templeman, Bill Grono, Andrew Burke, Viv Kitson, Noelene Burtenshaw, Merv Lilley, Dorothy Hewett’ and several others. So we were in good company that night, and it pleases me to recall the occasion for several reasons. It marked the beginning of some long-standing friendships, and I am conscious also that Andrew has dedicated the book being launched today to his friend and fellow writer Viv Kitson who was there that evening but unfortunately, like some of the others, is no longer with us. I forget how Andrew introduced himself back then but it may well have been along the lines of his poem Self Portrait which was later published in Soundings, the first book put out by the fledgling Fremantle Arts Centre Press. The poem in question is a deeply introspective piece of soul-searching which reads as follows: ‘mainly have always lived in Perth / have mainly always lived in Perth / have always mainly lived in Perth / have always lived mainly in Perth / have always lived in Perth mainly / born Melbourne 1944. The photograph that accompanied this and other Burkean poems in the anthology is a head and shoulder shot of a youngish poet with a splendid ‘Ginsbergian’ beatnik beard. There are traces of that era in the present book when Andrew mentions ‘riding a Greyhound bus / I think of Kerouac and co / in this sparse / Australian landscape on / an air-conditioned coach / reading AA recovery stories / socking water back.’ There was certainly a touch of Ginsberg, Snyder and some of the other ‘beats’ in Andrew’s first book Let’s Face the Music and Dance which was launched by Peter Jeffrey at the Old Fire Station Gallery in West Leederville, shortly before the Soundings anthology came out. It’s a great pleasure to see Peter Jeffrey here today and to recall that earlier launch, attended by a jazz band and a clamour of general revelry. These early books were followed by On the Tip of My Tongue, Mother Waits for Father Late and Pushing at Silence. 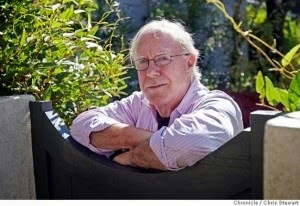 By then Andrew had become well-known for readings at venues all over the city from the Stoned Crow at Fremantle to the Stables in Mount Street and the decrepit upstairs loft off King Street, the exact location of which now escapes me. Wherever it was, it gave heart to poets young and old, although we were sometimes reading mostly to ourselves. In the midst of all this, in Andrew’s poetry, one caught the echo of the contemporary, metropolitan experience – fragmented rhythms, fleeting allusions, quips and parodies, a style affected by what was happening overseas, but with an Australian tone, and with an increasing emphasis upon the ups and downs of life on the home front, the gains and losses of domestic experience and of the workplace. There is something of this in the books that Andrew brought out later including Beyond City Limits and Whispering Gallery. Mentions of Whispering Gallery prompts me to recognise in passing the work done by Roland Leach of Sunline Press, a fine poet himself and the publisher of that book. 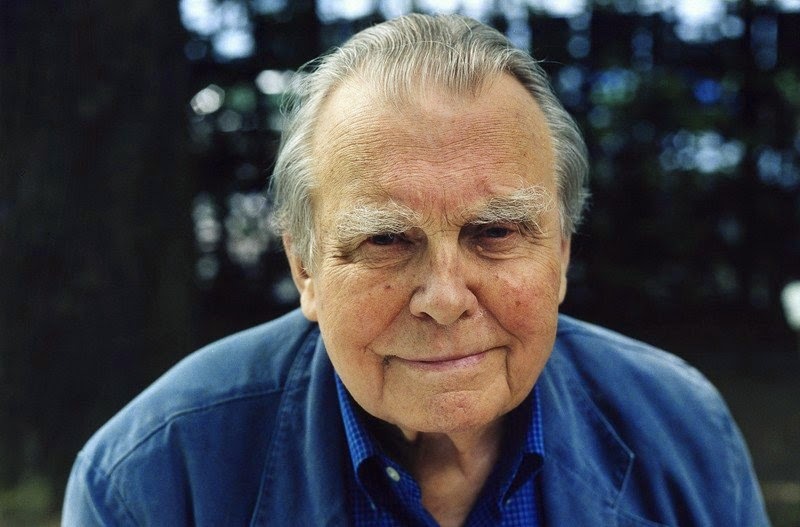 At a time when poets are finding it increasingly difficult to get their works into print, he gave heart to many. I note in passing also that author’s photograph on the dust-jacket of Whispering Gallery presents a scrubbed-up and clean-shaven version of Andrew Burke, but the poetry within – fortunately - continues to thumb its nose at the rule book and goes its own way. And so we come finally to Andrew’s latest work One Hour Seeds Another. It struck me immediately, upon a first reading of the book, that there were indeed many links to the earlier works, and echoes of former ventures and relationships. The first poem in the book commences: ‘You open my pages. Memories fly out, / roots still growing. Clouds / float our globe in shapes by the elements. / Start here: we could render them meaningful … /. The reader will find that in many of the poems there is a poignant sense of the past revisited and the youthful foibles of other days. In ‘Under a Black Beret’, for instance, the poet is pictured ‘ … still in my school suit / ordering café noir, s’il vous plait at El Calib / or late night at The Coffee Pot / where they’d put on Oscar Petersen Plays / Porgy and Bess when I walked in. With these thoughts in mind it gives me great pleasure to declare that One Hour Seeds Another is now well and truly launched. I urge you to buy several copies, for yourself and for your friends. As a pro­fes­sion­al writer, you should hold your doc­u­ments to the same stan­dards as pro­fes­sion­al­ly pub­lished ma­te­r­i­al. Why? Be­cause your doc­u­ments are pro­fes­sion­al­ly pub­lished material. More­over, much of what writ­ers con­sid­er prop­er ty­pog­ra­phy is an ac­cu­mu­la­tion of bad habits and ur­ban leg­ends. These will be set aside in fa­vor of pro­fes­sion­al ty­po­graph­ic habits. Any writer can mas­ter the es­sen­tials of good typography. The four most im­por­tant ty­po­graphic choices you make in any doc­u­ment are point size, line spac­ing, line length, and font (pas­sim), be­cause those choices de­ter­mine how the body text looks. Use curly quo­ta­tion marks, not straight ones (see straight and curly quotes). Put only one space be­tween sen­tences. Don’t use mul­ti­ple word spaces or other white-space char­ac­ters in a row. Never use un­der­lin­ing, un­less it’s a hyperlink. If you don’t have real small caps, don’t use them at all. Use 5–12% ex­tra let­terspac­ing with all caps and small caps. kern­ing should al­ways be turned on. Use first-line in­dents that are one to four times the point size of the text, or use 4–10 points of space be­tween para­graphs. But don’t use both. If you use jus­ti­fied text, also turn on hy­phen­ation. Don’t con­fuse hy­phens and dashes, and don’t use mul­ti­ple hy­phens as a dash. Use am­per­sands spar­ingly, un­less in­cluded in a proper name. In a doc­u­ment longer than three pages, one ex­cla­ma­tion point is plenty (see ques­tion marks and ex­cla­ma­tion points). Use proper trade­mark and copy­right sym­bols—not al­pha­betic approximations. Put a non­break­ing space af­ter para­graph and sec­tion marks. Make el­lipses us­ing the proper char­ac­ter, not pe­ri­ods andspaces. Make sure apos­tro­phes point downward. Make sure foot and inch marks are straight, not curly. Fame at last for 'One Hour Seeds Another'! Thanks Anna Teasdale for this pic of ONE HOUR SEEDS ANOTHER on display at Perth City Library. If you're in the Perth parish, borrow it. If you're in Melbourne, you'll find it at Collected Works, Swanston Street. If you're in Hobart, at Hobart Book Shop, Salamanca Sq. Learn how to draw lifelike figures that jump off the page. 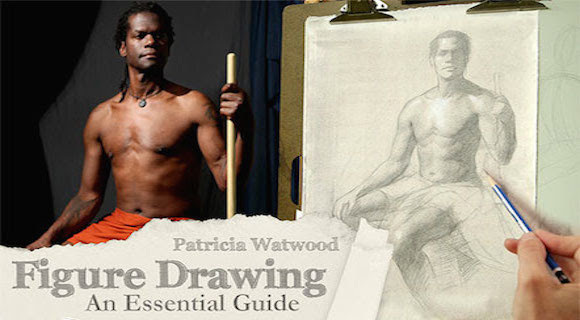 Get lifetime access to the online Craftsy class Figure Drawing: An Essential Guide for free, and enjoy instruction from renowned artist Patricia Watwood in the comfort of your own home. With step-by-step video lessons, you'll master figure drawing as you learn classical techniques for rendering from live models. Progress from a simple block-in sketch to a gestural drawing to a polished piece with depth and dimension, while gaining hatching, shading and highlighting skills. And, as a bonus, you'll even find out how to create custom toned papers to add a unique touch to your work. What makes Craftsy's online classes great? Learn for life. With lifetime access to your classes, you can watch lessons at your preferred pace and easily revisit your favorite concepts with just a click. Get personalized guidance. Ask your fellow students questions to receive all the answers and feedback you need to succeed. Conquer new concepts. Learn easily with helpful diagrams, engaging graphics and downloadable materials that walk you step-by-step through gaining skills. Anna Lumb, circus and burlesque sensation, creates a series of vignettes exploring pathologically impulsive behaviour illuminating the mindset of the celebrity, the stalker, the private dancer and the public exhibitionist. Loss of control and rebellious behaviours play out to reveal moments of beauty, inspiration and chaos. What lengths will she go to stand out from the crowd? Featuring public displays of private dancing, endurance marathons, circus skills and sticky tape. A monthly open-mic reading by poets & performers from Melbourne and beyond, this time featuring Kevin Brophy. Remember to get there at 7.30 if you'd like to get a spot on the open mic - this month's suggested theme is 'beyond'. $5 entry includes wine, tea, coffee, biscuits & door prize. Love Poetry contest - closing soon!